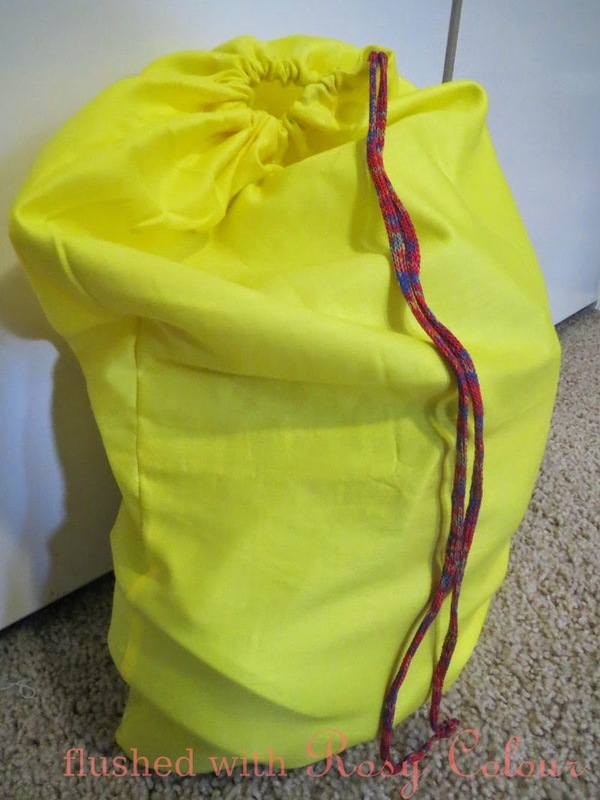 Inspired by my old machine coming out of the cupboard, I made this yellow toy sack for my son. Its just a sack with a drawstring. I made it up quickly, trimming the inside seam with my pinking shears which I thought were blunt but were pleased to find they still work on light material like this. For the drawstring, I used a recycled tie from my collection of ties and laces. When I gave it to him, Tom immediately filled it up with toys from his kitchen collection. He loves it!